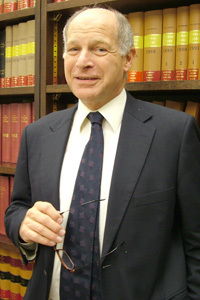 On 20 November Lord Neuberger, President of the Supreme Court, delivered the First Annual BAILII Lecture, entitled No Judgment – No Justice (PDF) in which he dealt with three important aspects of improving access to justice through improved access to judgments: their clarity, free dissemination and enhancement. Judgments are the means through which the judges address the litigants and the public at large, and explain their reasons for reaching their conclusions. Judges are required to exercise judgement – and it is clear that without such judgement we would not have a justice system worthy of the name – and they give their individual judgement expression through their Judgments. Without judgement there would be no justice. And without Judgments there would be no justice, because judicial decisions, at least in civil and family law, without reasons are certainly not justice: indeed, they are scarcely decisions at all. It is therefore an absolute necessity that Judgments are readily accessible. Such accessibility is part and parcel of what it means for us to ensure that justice is seen to be done, to borrow from Lord Hewart CJ’s famous phrase. Ready accessibility requires that judgments be clear and well reported. many self-represented litigants [Ed: and lawyers] will not have ready access to the professionally published law reports, [so] a self-represented litigant is likely to be at a disadvantage. This drawback could be easily remedied by each Judgment setting out, in its opening paragraph, a short summary. It would not be as long as a law report headnote, or as one of the press summaries prepared by the Supreme Court … But it should be sufficient to enable a non-lawyer to know the facts, the issues, and how and why they were resolved. On the one hand there is what can be described as Judgment-dissemination: providing the public with easy and full access to all Judgments. This is what Bailii does and does so very well. And then there is what can be described as Judgment-enhancement: classic and scholarly law reporting. This is what is done so well by, pre-eminently [ICLR LR and WLR and LexisNexis All ER] … of particular importance because of the role it plays in developing the corpus of law. This is especially true of the common law, which is of course judge-made law. The great benefits of the traditional law reports, he said, are reliability, accuracy and also selection. He bemoaned the decline of court reporting by the media and suggested that “few if any legal bloggers report from court as well or as fully as press reporters once did”. He also saw a downside to efficient (electronic) judgment dissemination: the cost of legal advice and representation will go up if advisers have to trawl through BAILII and other websites to make sure they have left no stone unturned. Is judgment dissemination a threat to the survival of judgment enhancement? No, he said; the two are complementary. And how could BAILII be improved? He wondered if it is worth judges adopting the practise of producing “starred” determinations, identifying whether a judgment is important or not. There is much to agree with here, but I can’t help feeling his comments on law reporting relate to a different era, long, long ago when we had Web 1.0. Does BAILII just disseminate judgments or does it also enhance them (or shall we say, add value)? Certainly the latter. There is more to BAILII than finding cases by searching or browsing. For example, it cross links to referenced cases and legislation and finds cases by parallel proprietary citations; and updates of the basic meta data can be pulled in by subscribing to its RSS feeds. Is this, as ICLR suggest, a small link for a mouse but a giant leap forward for BAILII and ICLR? Anyone familiar with Web 2.0 (as we used to call it), would feel these facilities are rather tame. Clearly there are things holding BAILII back. Its budget is inadequate; but also it is dependent on the goodwill of the legal establishment and it cannot afford to be disruptive. So the fact that BAILII does not compete with law reporting is a deliberate choice. There’s no doubt that if we all had open access to court judgments then creativity would be unleashed. I’m sensitive to BAILII’s arguments and have been sceptical of the give-us-the-data-and-we’ll-organise-the-world crowd, but there’s no doubt you can add a lot of value by mining the data. For example, see what AustLII does with the Lawcite citator; and check out the fancy analysis they do on JustCite. Of course “scholarly law reporting” enhances judgments considerably and is crucial in developing the law, but Lord Neuberger is outdated in his views on alternative law reporting. There are indeed legal bloggers who report “as well and as fully as press reporters once did”. In his own back yard he has UKSC Blog which provides timely summaries and analyses of UKSC judgments; and there are several other specialist blogs like UK Human Rights Blog and Nearly Legal on housing law that report fully and comprehensively on judgments in their respective areas. They do not do so as formally as ICLR, or perhaps other present or bygone press reporters, but one cannot dismiss them; indeed we should embrace them as providing better access to law! See also the report of the lecture from Paul Magrath of ICLR. This is an excellent idea in principle but many judgments, even for a trained and experienced lawyer, are complex and difficult to understand in terms of technical legal points. Access to Justice is a good thing but in some ways it gives the impression that law is very simple. Simply not the case in practice. I think few would disagree with Lord Neuberger that “Judgments are readily accessible”, or that this is also about clarity as well as being able to access the text. The best judgments already have a summary paragraph, so that a reader can quickly see if they need to read more (the EAT always includes a summary para – although the quality varies – it would be good if their style could be made uniform). And some form of ‘starring’ surely could be adopted – both the ECtHR and the CJEU manage this in their own ways (with the ECtHR you have a dual system of ‘if a case gets its own unique press release then it’s important’ and ‘importance level’ classification – the CJEU does something similar with press releases to highlight cases of wider interest). What I find interesting is the ‘institutional’ bias against BAILII – the practice directions of the courts require the hierarchy of law reports to be adhered to, and up until relatively recently only a photocopy of the book version (or an equivalent PDF version) were acceptable in authorities bundle. The recent EAT practice direction has seen that Court match the CoA in terms of the authorities used and how they should look – with the extra confusion of the familiar authorities bundle. These are extra administrative burdens, and one has to ask – do they add the value to be justified?